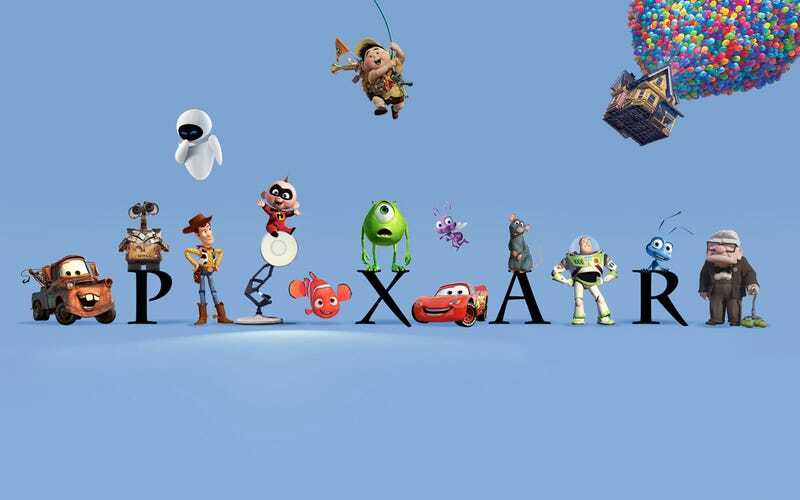 Surely, if you've watched a few Pixar films, you've noticed at least one of the many easter eggs that Pixar includes—they always reference other Pixar movies. It's a staple. Most of the films, for example, include the "Pizza Planet Truck" from Toy Story. At first glance, you might think it's just Pixar having fun and giving nods to their other work. Nothing that, you know, means something. But if you look close enough—as Jon Negroni does here—you might start noticing that there are threads that can theoretically tie all the films together somehow in a single timeline. Yes, things are about to get a little crazy up in here, but the way Negroni explains it, it makes sense. Here are a few snippets of his reasoning, centered around Brave—man, I didn't even notice the door thing, but it all makes sense! We also learn that this witch inexplicably disappears every time she passes through doors, leading us to believe that she may not even exist. We even see the Pizza Planet truck carved as a wooden toy in her shop, which makes no sense unless she’s seen one before…(and I’m sure she has since that truck is in literally every Pixar movie). If you look closely, you can see the carved truck below. I feel like I need to re-watch every single Pixar film now. You can read the nitty gritty details of Negroni's theory here. It's a doozy.